A school day at Woodstock Day School devoted to service both on and off campus, to honor the vision and open heart of Leith Rogovin. All are invited to participate. 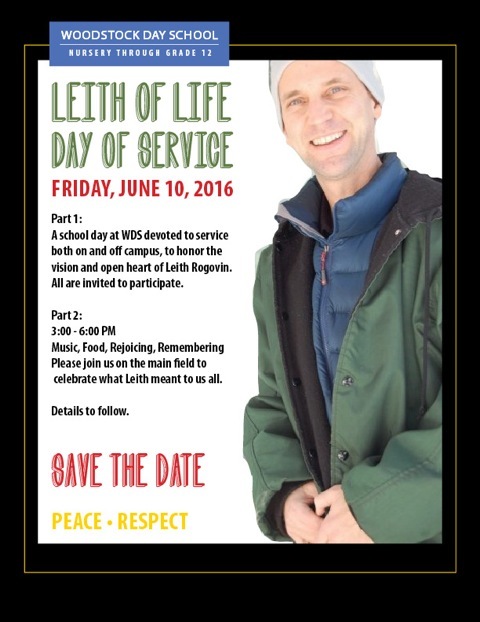 Please join us on the main field to celebrate what Leith meant to us all.